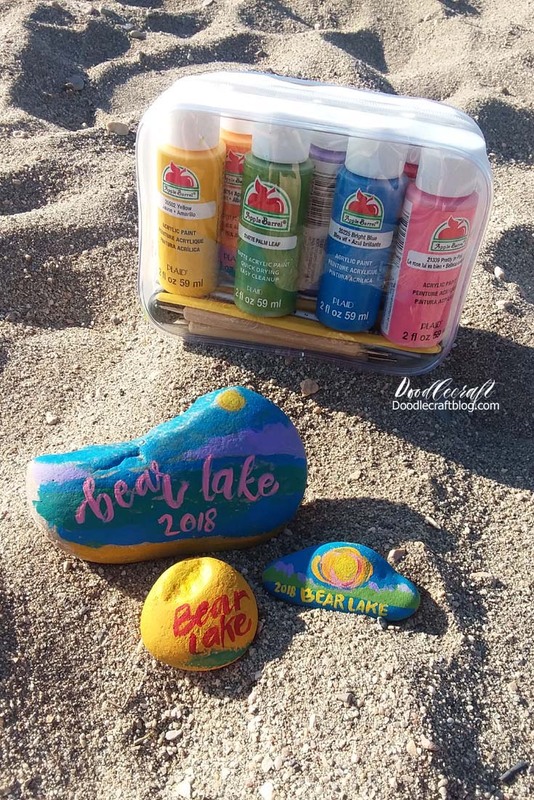 Doodlecraft: DIY: Painted Rock Ideas while Camping! 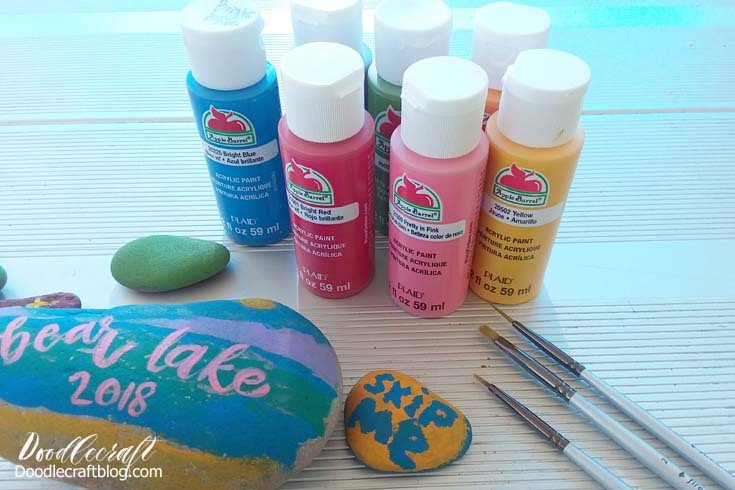 DIY: Painted Rock Ideas while Camping! 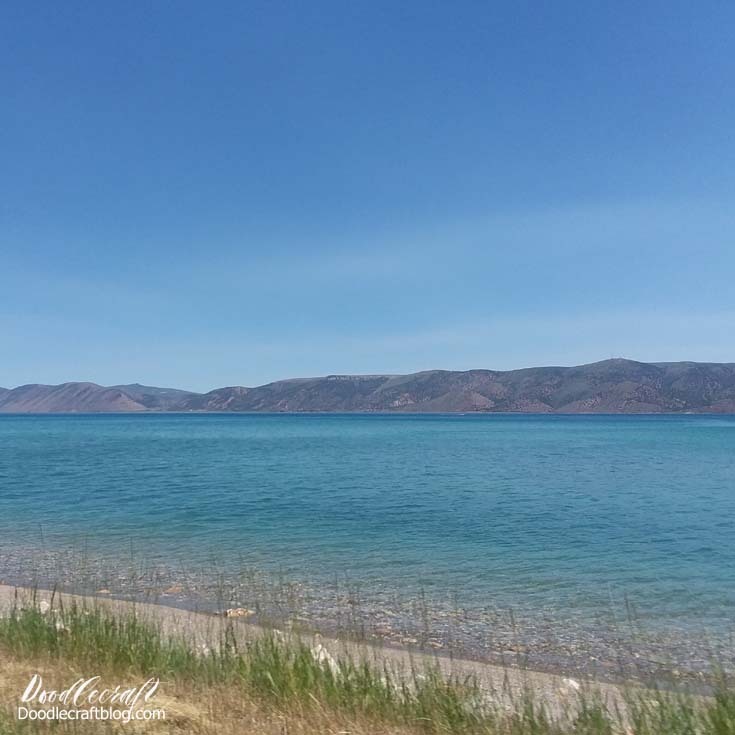 We just got back from a super camping trip to Bear Lake. It was so nice to just enjoy the sun and the bright blue skyline. We were able to just unwind, unplug and chill for 3 days. Of course, 3 days is a long time to go without crafting. 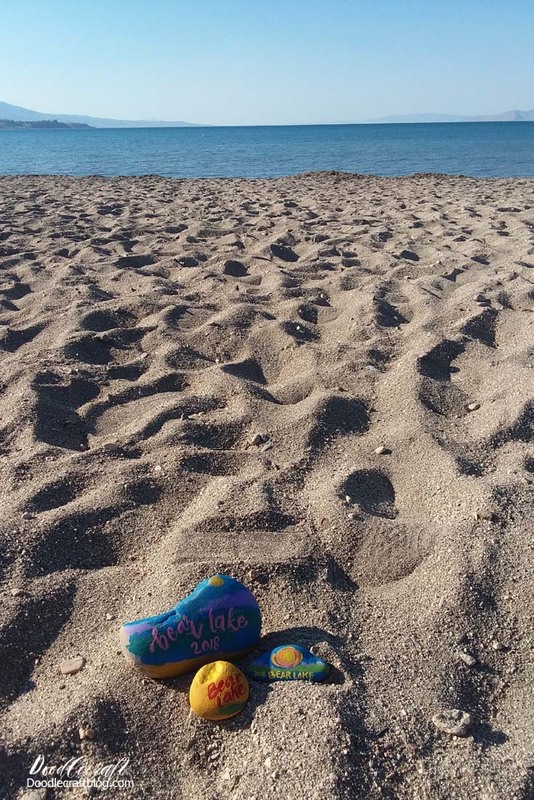 Fortunately, I brought 2 different crafts! Am I the only one that brings crafts camping??? We camped at this gorgeous site right next to the lake. If you look super close, you'll see my 3 kids swimming in the cold lake! 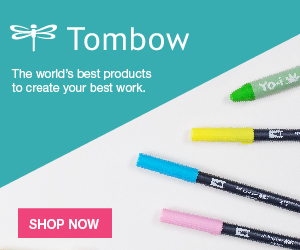 Okay, let's get crafting! I used a zip up pencil case to pack my supplies. Start by gathering unique rocks around the campsite. Wash the rocks with water and let them dry. If you are at a National Park or Reserve, please do not touch the rocks...everything is protected and you can get in big trouble. 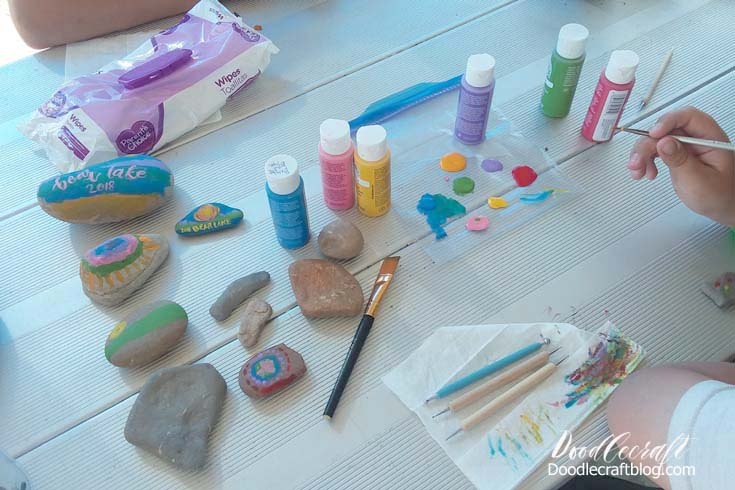 If you are headed to a protected land, bring your own rocks to paint and pack them out with you. Then set up your paint station on a table. We used a plastic bag for a palette and painted away. 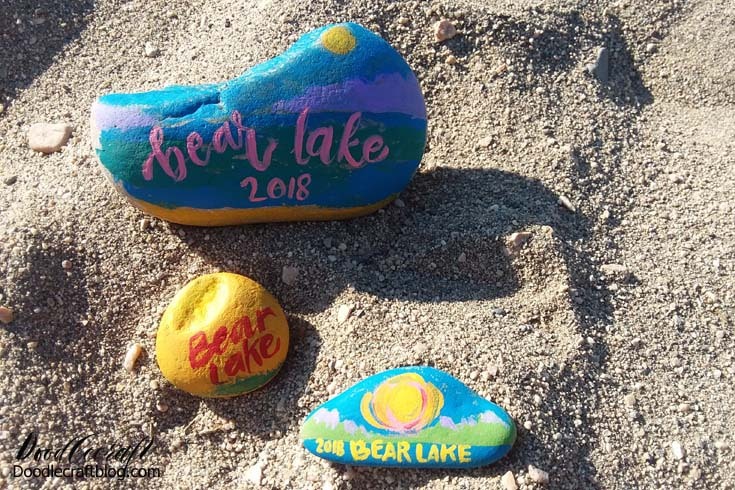 I was super surprised that everyone sat around and painted rocks with me. The paint dries fast in the hot sunshine. Paint them however you like, we made little landscapes and labeled them with the place and year. Let them dry and then paint the other sides. This way if the rock gets rolled, it will still look cute! 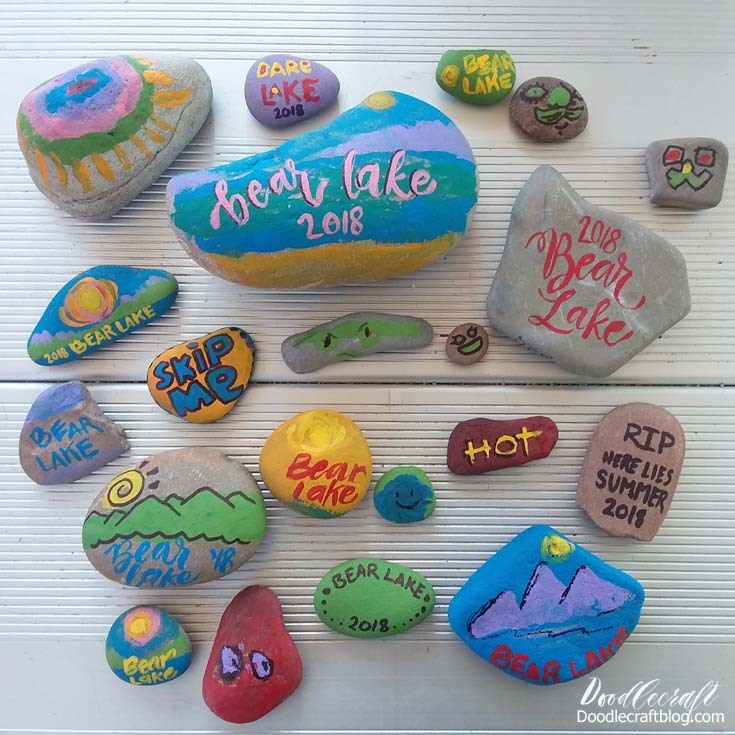 Let them dry and scatter them around the campground. After one night, several of our placed rocks were already "missing". Hopefully people enjoyed them! 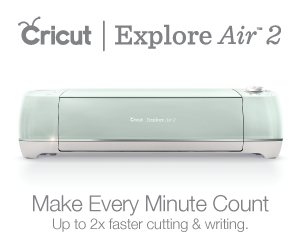 Great way to add a little more fun to a relaxing vacation. 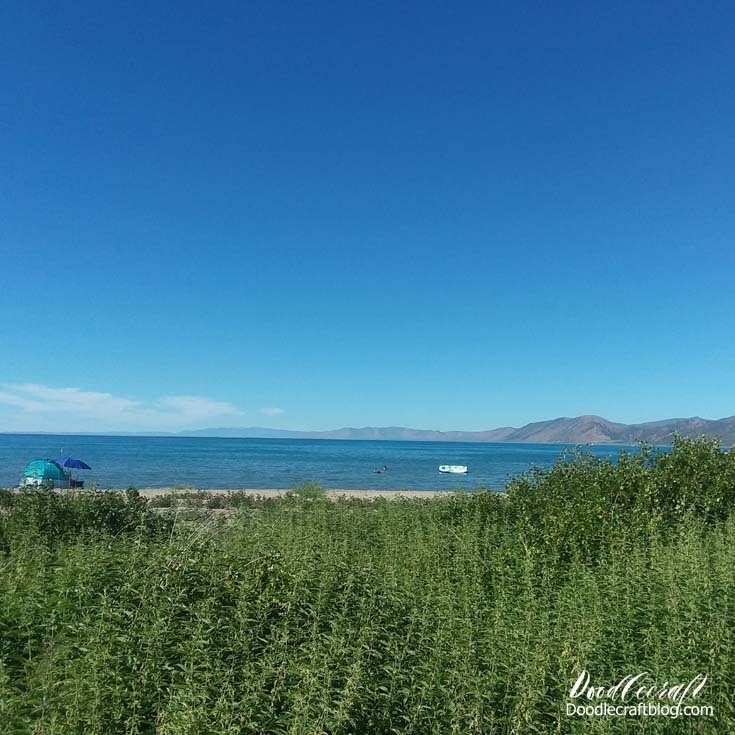 I love camping by a lake, since we are land-locked and can't enjoy the ocean as regularly...I will take a lake! 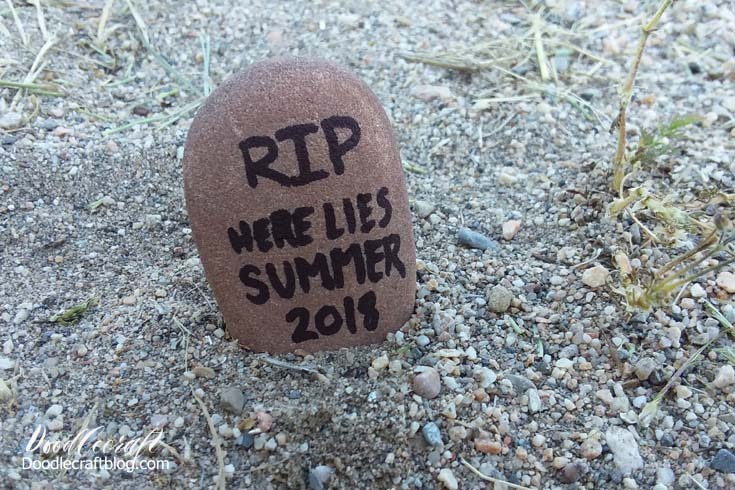 And we are already dreading the end of summer. 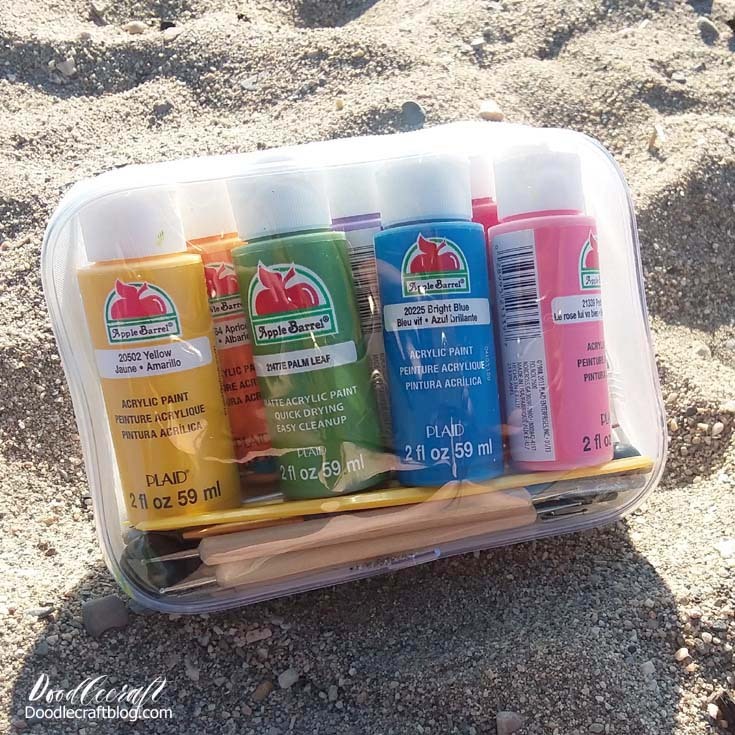 Have you ever crafting while camping? 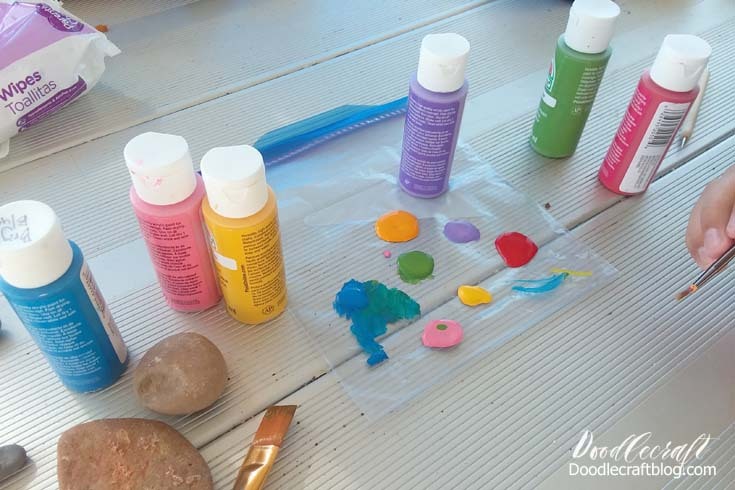 Youth camps are usually filled with summer camp crafts, so it's not unusual. What do you enjoy most about camping? 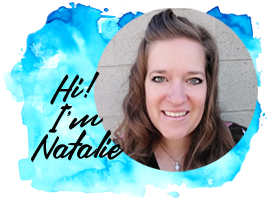 Pin, Save, and Share for Later! Boondoogle...I can't get enough of this braided plastic lacing! 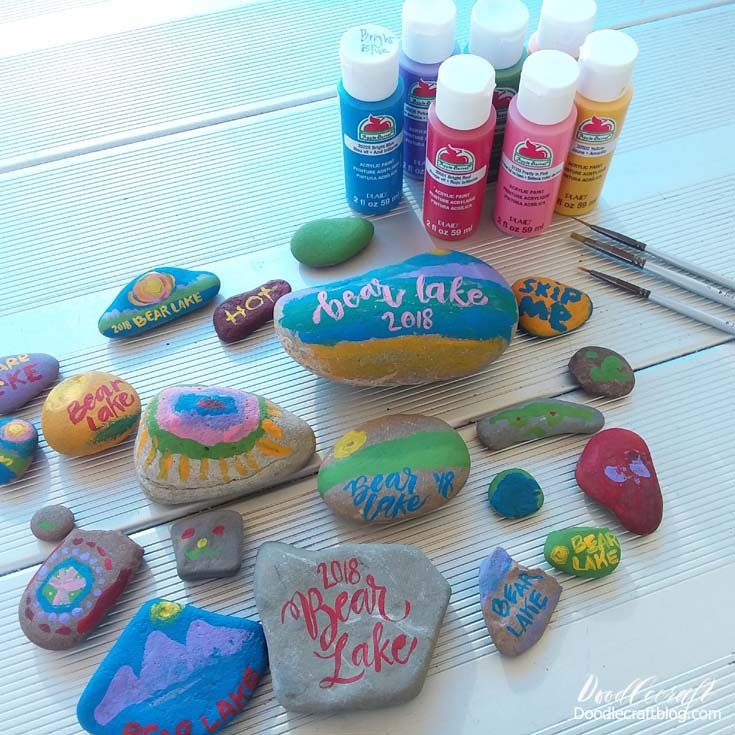 could you paint the rocks and then put vinyl words on them? would 651 work? I'm not the only one carrying a craft bag around! beautiful and peaceful looking..but where is Bear Lake? Seeing the mountains it looks similar to here in TN Smokey Mountains all around me but better guess is NC?